The May edition of Beautiful Kitchens magazine features the biggest and best in wine cooling appliances. “A dedicated place to store bottles is a great investment for wine lovers. 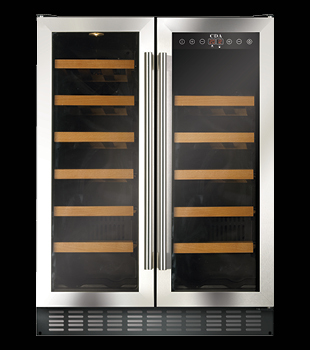 Here’s our pick of the bunch…” The FWC622SS is a freestanding, under counter double door wine cooler with huge capability within a stylish exterior. It comes with wooden slide out shelves, with the capacity to hold 40 bottles, within two temperature controlled zones, electronic temperature control, a UV protected smoked, toughened glass door, 2 humidifiers and a temperature alarm and memory function to maintain optimum conditions for the safe storage of your wine. This is the perfect addition to any functional kitchen design.